It is on Kefalas hill that are located the ruins of a Venetian castle, built in the 15th century. This castle hold the last days of the Venetian domianation on the island. The fleet of the Turkish led by the famous pirate Barbasossa had conquered the whole island. The Venetians under the command of Lord Somarippa were barricaded in teh castle of Kefalos. They resisted the enemy with litle success and the castle was overtaken by Barbarossa in 1537, following a great devastation and countless massacres. The hill is cone shaped and it is actually an extinct volcano. It is a hike worth while to the top, as the view is magnificent! 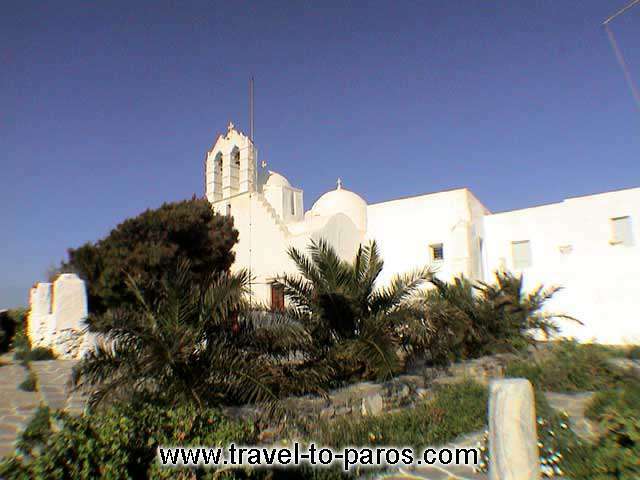 Great views of all the East coast of Paros and even Naxos!